BUTUAN CITY, May 27 – The call for a just and lasting peace deeply resonates in the Caraga Region (Region XIII) of Mindanao as various sectors articulated their grievances and demands at the recently concluded Peace Roadshow held from May 23 to 24 in key areas of Agusan del Norte, Agusan del Sur and Surigao del Sur. In the two-day fora held at the Fr. Saturnino Urios University (FSUU) here, participants heard updates from government peace panel member Jurgette Honculada on the ongoing peace negotiations between the Government of the Philippines (GPH) and the Communist Party of the Philippines-New People’s Army-National Democratic Front of the Philippines (CPP-NPA-NDFP). A Butuanon herself, Honculada called on all Filipinos to be updated on the peace negotiations between GPH and CPP-NPA-NDFP and raise their stakes for peace. She also spoke on issues confronting Caraga communities such as problems related to mining, illegal logging and delivery of basic services in far-flung areas, all of which are also being tackled in the Comprehensive Agreement on Socio-economic Reforms (CASER), which is the meat of the ongoing peace negotiations between the GPH and NDFP. With the concrete goal of reaching a final peace agreement to set the ball rolling for reforms to be fully carried out, the participation of different communities nationwide will prove to be critical. Also present at the fora were FSUU Policy Center Executive Director Atty. Josefe Sorera-Ty, who served as master of ceremonies and Office of the Presidential Adviser on the Peace Process (OPAPP) Social Mobilization Unit Dir. Enrico dela Torre who gave the participants an overview of the government’s efforts on peace and development. The various fora provided members of the Caraga community a deeper understanding of the ongoing conflict besetting the region. Participants raised immediate concerns affecting their day-to-day lives. With an administration that’s all out for peace, it was concluded by the organizers and participants that the best time to affirm the peace talks and the best time to engage in forging the peace is now. BUTUAN CITY, May 27 – The Armed Forces of the Philippines and the Philippine National Police assigned in the region signed the Joint Peace and Security Coordinating Center Memorandum of Agreement recently. The JPSCC 13 was said to be created in order to ensure the unity of the efforts of the military and the police in addressing the peace and security concerns of Region 13. Its mission is for both the 4th Infantry “Diamond” Division and the Police regional Office 13 to work hand in hand to support the local government units in the preservation of peace and order and in addressing peace and security concerns occurring in Region 13 by establishing JPSCCs also in the provinces and cities of the region in order to have a secured environment conducive to growth and development. Structurally, the JPSCC 13 shall be headed by the Commander of the 4ID and the PNP Director of PRO 13 and shall be composed of the joint intelligence and investigation cell, joint operations cell, joint civil-military operations and police community relations cell, and the joint legal cell. In their respective messages after the signing, Maj. Gen. Felix called the creation of JPSCC 13 as “a good day for the people of Caraga,…as this will ensure the unity of the efforts of the military and the police in addressing the peace and security concerns of the region.” He also said that this will institutionalize at the same time, the mutual cooperation and coordination of the two security forces to address more effectively the various security issues and problems within each other’s area of responsibility. The official also said that the underlying principles of the agreement can be applied in the issues of criminality, terrorism and lawlessness, as well as in responding to calamities, disasters and other emergencies which may arise in the region. CSupt. Rafal for his part also said that the existing unity, cooperation, coordination and joint operations of both the AFP and the PNP will be further enhanced by the signing of the document and the creation of the JPSCC. Rafal mentioned however that the united efforts of cooperation and coordination of both security forces was clearly manifested during the successful handling and resolution of the hostage-taking incidents at Pulang Lupa, Trento and Prosperidad in Agusan del Sur and also during the NPA attack against the Lianga Municipal Police Station in Lianga, Surigao del Sur; as well as in conducting disaster and relief operations during calamities occurring in the region. “We are looking forward for a better provision of security and services to the local government units as well as to the communities and the vital installations in the region,” Rafal said. Both officials also assured the public that the PNP’s Police Operational Procedures and the AFP’s Rules of Engagement shall always be observed with the JPSCC, and the guiding principles would be the strict adherence to the Human Rights, Interrnational Humanitarian Law and the law of the land. The Armed Forces was represented by Major General Victor A. Felix, the Commanding General of the 4th Infantry “Diamond” Division based at Camp Evangelista, Patag, Cagayan de Oro City while representing the Philippine National Police was Police Regional Office 13 Director Chief Superintendent (Brig. Gen.) Reynaldo S. Rafal. BUTUAN CITY, May 27 – With the recent pronouncement of high level of security threat in Mindanao relative to Bin Laden’s death, the PNP-Directorate for Intelligence led by Police Director Renato Heredia, thru the Philippine Bomb Data Center (PBDC) will be holding a series of Bomb Drill Competition and Bomb Awareness Seminar on three separate venues in the country. It aims to secure possible terrorist targets such as public transport, malls, churches, schools, and other vital installations from bombing attacks and similar incidents. The police also called for public vigilance on bomb threats and their involvement in the efforts to prevent bomb-related incidents is encouraged as safety is everybody’s concern. Recently, the PNP-DI-PBDC held the Transportation Security Awareness Seminar (Land, Air, Sea and Rail) at the DI-Intelligence Training Group (ITG). This was attended by different representatives of the transport sector other stakeholders and members of the Tri-Media. The first Bomb Drill Competition was successfully held in Camp Crame, Quezon City last March 24, 2011 participated by various police units in the National Capital Region, Philippine Army EOD. Atty. Renato Heredia, Director for Intelligence, Philippine National Police was the Guest of Honor and Speaker. Said activity was attended by PRO 13 and BCPO personnel, stakeholders and tri-media. The bomb squad drill competitions is aimed at upgrading the reliability and efficiency of the PNP and the AFP EOD/Bomb Squads in Manila and Mindanao, particularly in responding to any bomb related threats. The competition will stimulate the awareness of local chief executives and PNP commanders on the level of preparedness and equipage of their respective units and personnel. Further, the event will serve as a morale booster to the EOD community in general. The PBDC designed a bomb Advisory poster and leaflet to maximize its advocacy against bombing. Copies were initially distributed to the liaison of different PROs after the first drill competition in Camp Crame, Quezon City. Participants of the bomb awareness seminars conducted were also given copies. AGUSAN DEL SUR, May 27 – A total of 260 tanods from the 16 barangays of Talacogon attended the Barangay Tanod Training conducted at the Farmers Training Center, Labnig, Talacogon, Agusan del Sur. The said training was conducted to orient barangay tanods on their duties and functions and provide them with adequate information on the basics of arrest and handcuffing and internal security operations since they are the first responders in their barangays. In his message during the opening program, Talacogon Municipal Mayor Isaias C. Masendo committed to provide tanod uniforms and pledged to allocate funds for additional honoraria of the tanods in the LGU budget next year. He also cited the reward system that the LGU has been implementing wherein monetary rewards are given to individuals who give information on wanted persons and unlawful elements and their sinister undertakings. The official also emphasized that the amount of the monetary reward varies on the degree and magnitude of information relayed, either to him or to the Chief of Police, chargeable against the allocated intelligence fund of the municipality. “Attaining a peaceful community is not only a duty of a Local Government Unit and its local officials, the PNP and the AFP, but a shared responsibility with the community,” said Mayor Masendo in his speech. During the training, issues on the increase of monthly honorarium from Php100.00 to Php200.00 were raised. It was also suggested that hospitalization benefits must be provided to the tanods by the barangay and municipality. TANDAG CITY, May 27 (PIA) - Four rebel returnees in Surigao del Sur are due to receive livelihood assistance from the Office of the Presidential Adviser on Peace Process (OPAPP) as part of the Social Integration Program (SIP). According to OPAPP Peace Integration Unit (PIU) the checks totaling P200,000 are ready for release. A total amount of P50,000 shall be given to each recipient identified as Germilito Ecoben, Ernan Flores, Ambrocio Gran, and Piginoi Montenegro. This was contained in a letter by Dir. Emmanuelle Protasio to Gov. Johnny Pimentel. Also, Gov. Pimentel already designated Mrs. May Salinas, Provincial Social Welfare and Development Officer (PSWDO) chief here as representative from the Provincial Government facilitated the transaction with the Landbank of the Philippines Tandag City Branch. She also helped to identify the beneficiaries. BUTUAN CITY, May 27 (PIA) – The regional office of the Philippine Information Agency (PIA) here vowed to assist the government troops particularly in terms of providing communication support to the Armed Forces of the Philippines and the Philippine National Police (PNP)—as they are entrusted by the government to uphold peace and security in the country. This was the assurance made by PIA-Caraga OIC-Regional Director Abner Caga in a roundtable discussion with the members of the local tri-media held recently. Caga said providing communication support does not necessarily mean serving as propagandists of the military. “We assure (the public) that the materials produced by PIA are always balanced and true,” he said. BUTUAN CITY, May 27 (PIA) – The government has the primary duty of taking care of women. In a local radio program of the Department of Social Welfare and Development, Atty. Jose Fe Sorrera-Ty said that the Magna Carta of Women directs government to review all its policies, laws, administrative regulations in every agency and see if it is discriminatory or not. Atty. Sorrera-Ty works with the Comprehensive Pilot Intervention Plan against Gender Violence in Caraga (CoPIPAGV-13). Ty said laws that run counter to the ideals of the Magna Carta should be repealed or amended. Thus, all entities in the government must be sensitive to uphold and protect the rights of the women, Ty said. The law also states that there should be equal opportunities for women to be hired in government services and even to serve as heads of the agencies or offices. “Within five years, the law mandated that there should be an increase number of recruitments for women in government service and this must be the concern of every government offices specifically the Civil Service Commission (CSC) who is mandated to approve the appointments endorsed by every heads of government agencies,” Sorrera-Ty said. With these developments, Ty said that as part of the rationalization program of the government agencies they must include in their recruitment policy the equality of women to be hired in the service. BUTUAN CITY, May 27 (PIA) – National Statistics Office (NSO)- Caraga will hold the 2009 Family Income and Expenditure Survey (FIES) Regional Data Dissemination Forum on June 16 in this city. According to NSO regional director Dr. Rosalinda C. Celeste, the forum aims to raise awareness of the stakeholders and data users on the importance and relevance of FIES data. The 2009 FIES intends to provide data on family income and family expenditure and related information affecting income and expenditure levels and patterns in the Philippines. It also determines the sources of income and income distribution, levels of living and spending patterns, and the degree of inequality among families. Also, the 2009 FIES provides benchmark information to upgrade weights for the estimation of consumer price index; and to provide information for the estimation of the country’s poverty threshold and incidence. BUTUAN CITY, Mayo 27 (PIA) – Hindi dapat mangolekta sa mga magulang at mga estudyante ang mga pambulikong paaralan sa elementarya at sekundarya sa enrolment sa susunod na linggo. Ito ang babala ni Prof. Israel Reveche, information officer ng Department of Education (DepEd) at kasalukuyang Supervisor ng Values Education. Kaugnay dito, pinaalalahanan din ng DepEd Butuan ang lahat ng mga magulang tungkol dito matapos makatanggap ang DepEd-Caraga Regional office noong nakaraang taon hinngil sa pangungulekta ng ilang mga pampublikong paaralan sa enrollment. Matatandaan noong Abril 27, 2009, pinirmahan ni former Education Secreatry Jesli Lapuz ang DepEd Order No.40 series of 2009 upang utusan ang assistant secretaries, bureau/service/center directors, regional directors, schools division superintendents, at heads of public elementary and secondary school na ipagpatuloy ang ‘no collection policy’ sa lahat ng pampublikong paaralan ng elementarya at sekundarya. BUTUAN CITY, Mayo 27 (PIA) – Pormal nang itinalaga bilang Brigade Commander ng Armed Forces of the Philippines (AFP) reserved force at Brigadier General ng Philippine Air Force (PAF) si BGen Charito B. Plaza. Sa pinadalang text message ni BGen Plaza sa PIA-Caraga, inamin nitong ang pagtalaga sa kaniya bilang isa sa may pinakamataas na posisyon ngayon sa AFP Reserved Force at ng buong Hukbong Sandatahan ng Pilipinas ay isang malaking karangalan, lalo pa’t siya ang kauna-unahang babae na naging Brigadier General sa PAF at ng AFP Reserved Force ng Caraga Region. Dagdag pa ng opisyal, malaking hamon sa kaniyang karera ang nasabing posisyon sa hanay ng militar lalo pa at si mismong Pangulong Benigno Aquino III ang nagtalaga sa kaniya. Inamin din ni Plaza na kasalukuyan niyang bibigyan ng pansin at aksyon ang mga usaping pangseguridad lalung-lalo na dito sa Caraga Region at maging sa ibang lugar ng bansa. BUTUAN CITY, Mayo 27 (PIA) – Ang mga opisyal ng Government Service Insurance System o GSIS ay makikipagpulong sa mga information officers ng Caraga region ngayong Hunyo 9 sa siyudad ng Butuan. Batay sa rekord ng GSIS, may mahigit na 39,000 na myembro ang Butuan City kung kayat ang GSIS ay gustong makipagpulong sa mga information officers dito upang mas lalo pang mapaganda ang kanilang serbisyo. Kilala ang mga information officers sa kanilang galing sa kumonikasyon kung kayat nararapat lamang na magkaroon at mabigyan din sila ng mga sapat na impormasyon tungkol sa mga programa ng GSIS. 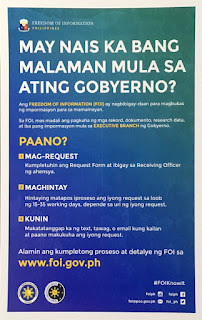 Ang pagpupulong ay naglalayon din na mabigyan ng bagong impormasyon ang mga information officers tungkol sa vision at mission ng GSIS sa ilalim nga bagong administrasyon at board of trustees; bagong polisiya at ang mga bago sa information technology. Ito rin ay magbibigay daan upang magkaroon ng mas magandang relasyon ang mga GSIS at ang mga myembro nito sa pamamagitan ng mga information officers. BUTUAN CITY, Mayo 27 – Gi-relieve aron ma-imbestigahan ang hepe sa kapolisan sa Cabadbaran City Police Station nga si PSInsp. Adrian R. Antonio, kinsa gipailalum sa administrative relief ug ipa-ilalum sa imbestigasyon human ang selda sa maong estasyon sa kapolisan gi-eskapohan ug duha ka mga detenado alas 4:00 sa kaadlawon niadtong Lunes. Si SInsp. Antonio, gipulihan una isip OIC sa maong estasyon ni PInsp. Jude Cres G. Milan. BUTUAN CITY, Mayo 28 (PIA) - Sa pagsugod sa enrollment sa mga pampublikong tulunghaan sa elementarya ug high school sunod semana, nagpagawas og pahimangno ang Department of Education (DepEd) Butuan City Division ngadto sa tanang school administrators nga walay himuong pagpangolekta ngadto sa mga estuyante ingon man sa mga ginikanan niini. Kini ang hugtanong pahimangno ni Prof. Israel Reveche, information officer sa Division office ug kasamtangang school Supervisor sa Values Education. “Dili gyud mangolekta ang atong mga magtutudlo ug school administrators sa panahon sa enrollment kay kini nahilatid sa DepEd Order No. 40 series of 2009,” si Reveche nagkanayon. Tungod niini, hugot nga gipahimangnuan sa DepEd Butuan ang tanang mga ginikanan kabahin niini human nakadawat ug balita ang DepEd-Caraga Regional Office sa milabay’ng tuig nga matud pa, nangulekta og mga miscellaneous fees ang ubang mga school heads sakop ni’ng rehiyon. Mahinumdumang niadtong Abril 27, 2009, gipirmahan ni kanhi Education Secretary Jesli Lapuz ang DepEd Order no. 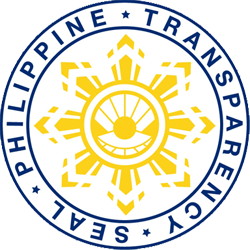 40 series of 2009 nga nagmando sa mga assistant secretaries sa departamento sa edukasyon, bureau/service center, regional directors, schools division superintendents, school heads sa pampublikong tulunghaan sa elementarya ug sekundarya sa pagpadayon sa nasangpit nga ordinansa nga “no collection policy” sa nagkadaiyang tulunghaan. BUTUAN CITY, Mayo 27 (PIA) – Usa ka pulong ang gilusad aron hisgutan ang mga kalihukang pangkalinaw ihato sa nasud ug sa tagsa-tagsa ka mga tao sa lungsod, distrito, ug munisipalidad pinaagi sa pag-awhag sa tanan nga muduyog sa gipahigyaong reporma sa atong nasudnong panggamhanan. Gipanguluhan sa People Power Volunteer for Reform (PPVR), usa ka non-government organization ang nahisgutang kalihukan nag-aghat sa tanang mga volunteers aron aghaton usab ang gobyerno nga mo mugna og daghang oportunidad aron batukan ang bisan usang anomaliya ug sa hisgutanang pangkawad-on. Sigon kay PPVR Regional Chairman Concepcion Asis, ang grupo ang nitabang sa panahon sa kampanya ni Pnoy sa miaging eleksyon. Ang grupo usab adunay tumong nga ipasibaw popular ng slogan ni Pangulong Aquino: “Kung walay kurap, walay kapubrihon”. BUTUAN CITY, Mayo 27 – Na-engkwentro sa mga sakop sa 30IB Philippine Army nga gipanguluhan ni Lt. Reynaldo B. Guillermo ang 30 ka mga armadong gituohang mga sakop sa CPP/NPA/NDF samtang mipahigayon ang mga kasundalohan sa combat patrol didto sa Sitio Zapanta Valley, Brgy. Bangayan, Kitcharao, Agusan del Norte alas 6:00 sa buntag kagahapon. Ang pinusilay tali sa duha ka mga grupo milungtad ug 15 minutos diin mi-atras ug nanibat ang mga armado paingon na sa kabukiran atubangan kini sa determinadong mga sakop sa kasundalohan. SURIGAO CITY, May 27 (PIA) – Gipahigayon bag-uhay pa lamang ang usa ka turn-over ceremony sa lima ka units nga tractor-like nga ekwipo nga gitawag ug “Caraboy” didto sa Governor’s office, Capitol Compound, Surigao City. Ang maong turn-over gipaluyuhan sa buhatan sa Provincial Agriculture Office ubos sa pagdumala ni Gromyko Geraldine. Kining maong ekwipo gidonar isip assistance alang sa mga katawhan sa Surigao gikan sa Platinum Group Metals Corporation (PGMC) nga gipangulohan ni Richard Gimenez sa Cagdianao Mining Company. Ang Caraboy s aka tractor-like nga ekwipo, nga gamit alang sa pag-uma nga dili na kinahanglang mogamit ug karabaw, ang maong ekwipo gama gikan sa nasod sa China.